Building on last year’s success, Jase Cornell put together a solid OSCAAR Modified campaign en route to placing sixth in the year-end standings. Kicking off the season at Sunset Speedway, Jase Cornell battled hard throughout the weekend of competition, fighting for an 11th-place finish despite a mid-race spin. He then backed it up with another 11th a couple weeks later at Kawartha Speedway. Unfortunately, the next two races at Jukasa Motor Speedway and Sunset did not go as the team planned with a pair of finishes outside of the top-15. Kawartha Speedway saw a small glimmer of hope, though, as Cornell was able to fight his way to a 12th-place finish. If there was a section of the schedule that seemed to suit Cornell beyond anything else, it would be the summer as he seemed to hit his stride at the end of July and into August. 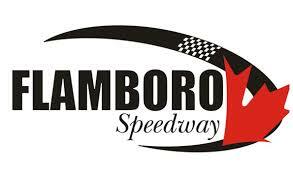 He kicked it off with a 10th at Flamboro Speedway, followed by a ninth at Peterborough Speedway. The trip to the beach was his best performance of the year, with Cornell scoring a heat victory and fifth-place finish. He then returned to Sauble Speedway a month later, placing 10th. Kicking off the short track playoffs with Sunset Speedway put an end to the strong stretch, though, as the Innisfil, Ontario track plagued him all season. Cornell was forced to run the last chance qualifier after a pair of poor showings in his qualifying heats. He did what he needed to do to make the show, though, visiting victory lane. Starting deep in the field for the 50-lap feature, he made his way up to 18th by the checkered flag. He ended the year solidly, though, finishing ninth at Flamboro’s Frostoberfest despite a mid-race spin followed by another ninth at Peterborough’s Autumn Colours Classic even with a spin at the halfway mark.